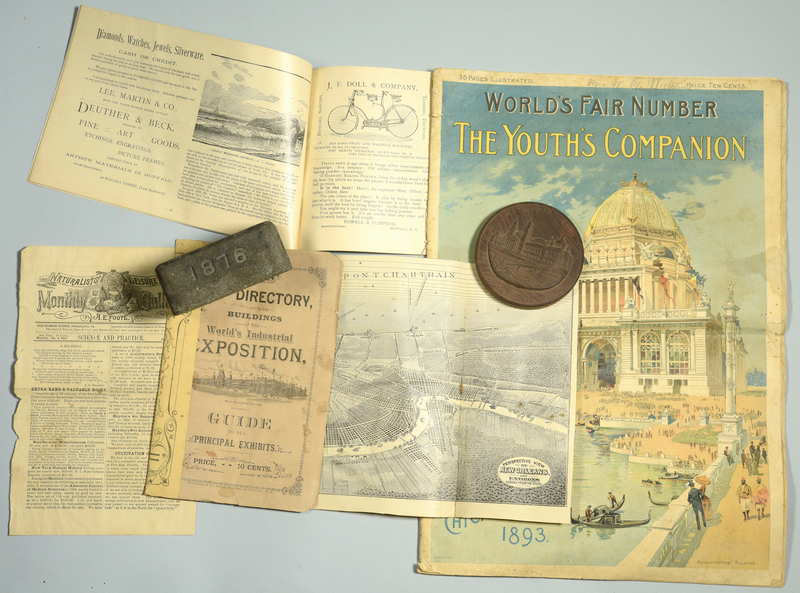 1st item: Visitor's Directory to the Buildings of the World's Industrial Exposition and Guide to Principal Exhibits, pamphlet from the 1884 Cotton Exhibition in New Orleans; Published by Patterson and Co. New Orleans. 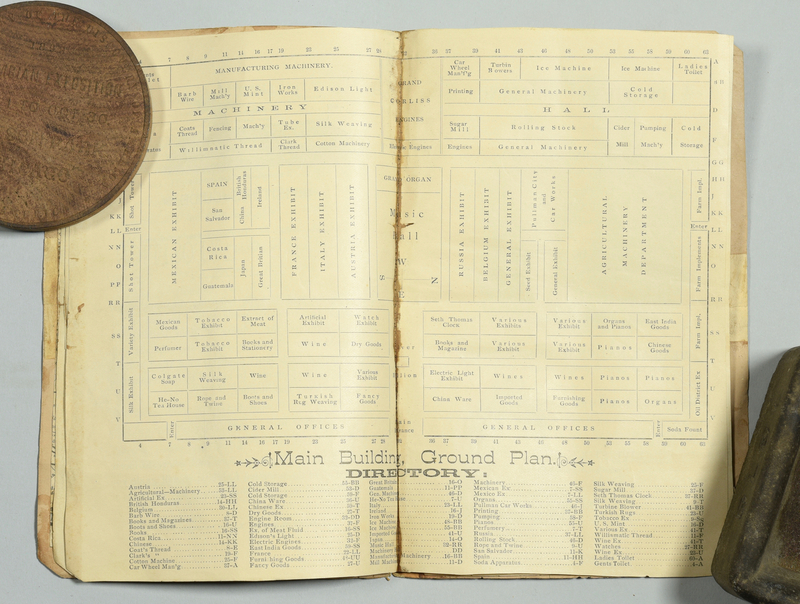 Contains Ground Plan of Government Building, Main Building Ground Plan, and Location of Buildings. 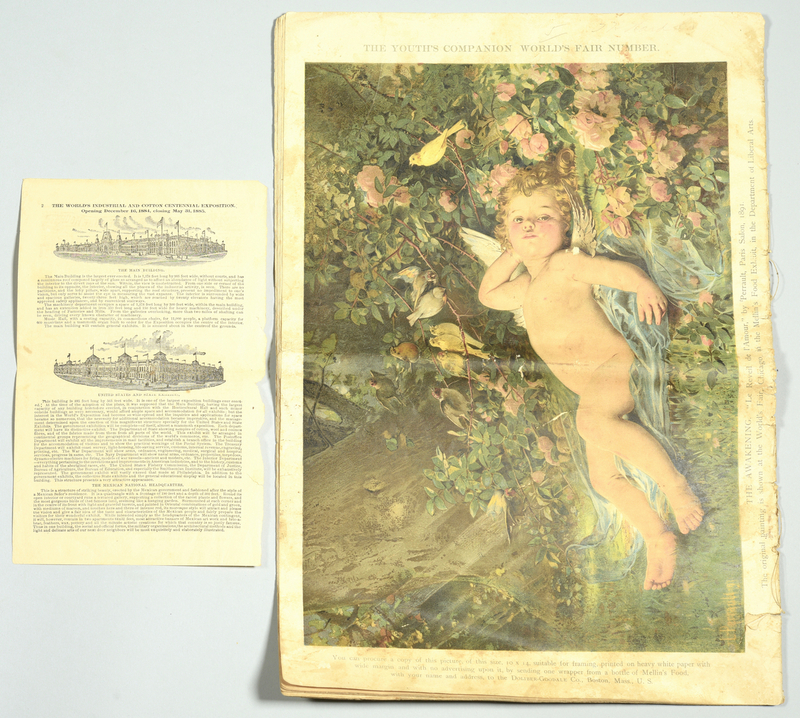 Many pages appear to have been removed, and the covers are pasted together with an extraneous page. 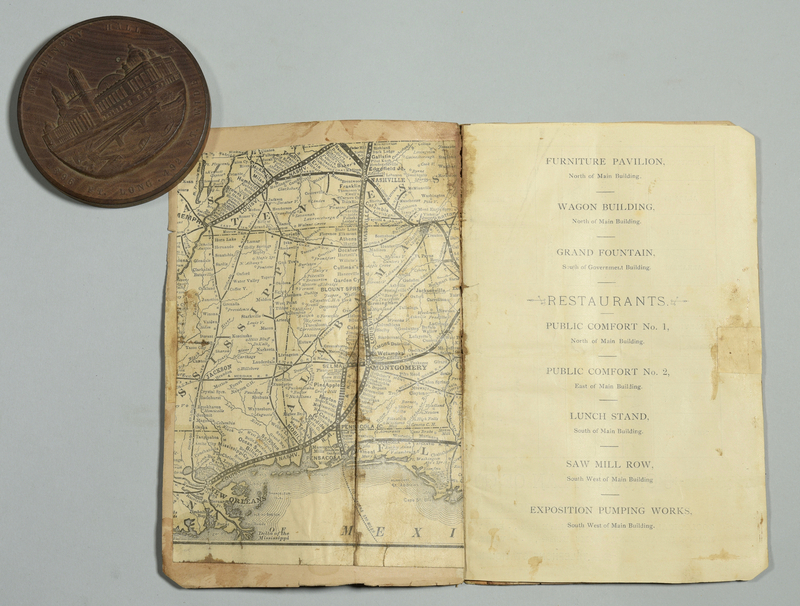 Tipped into the back is a rare birdseye view map of New Orleans, titled PERSPECTIVE VIEW OF NEW ORLEANS AND ENVIRONS LOOKING SOUTH. 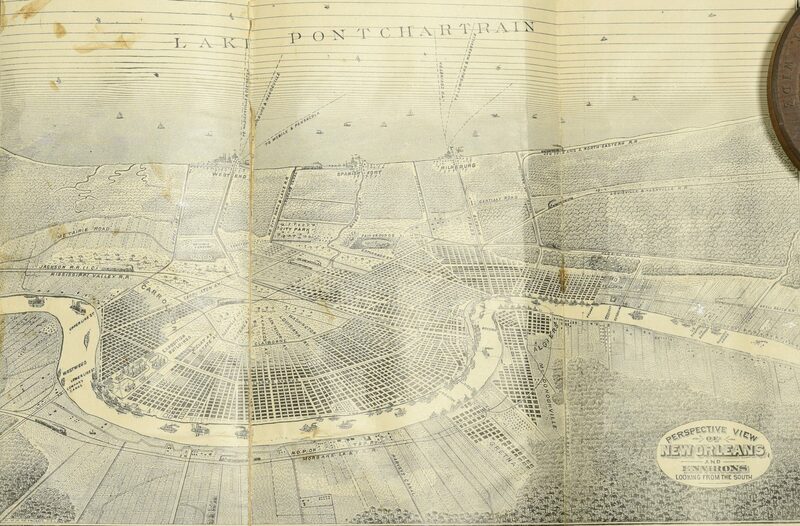 (Map trimmed and foxed; soiling and losses to covers, other page glued to front cover). 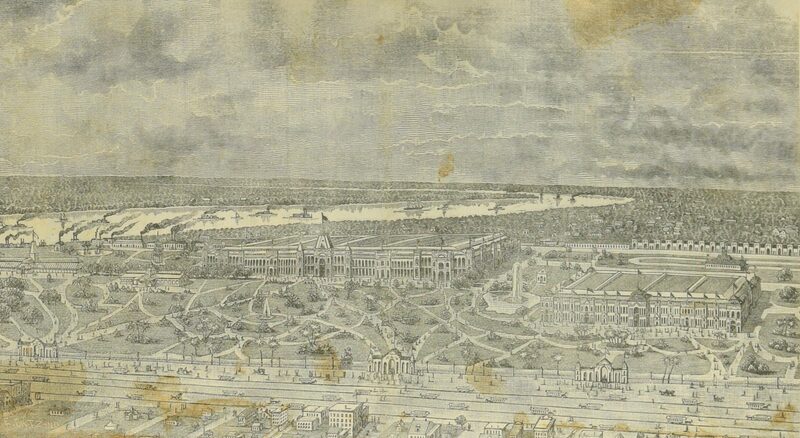 8 1/4" H x 5 3/8" W x 1/8" D. Also included with this item is an albumen print on card backing, labeled HORTICULTURAL HALL, NEW ORLEANS EXHIBITION (some soiling). 4 7/8" H x 6 3/4" W. 2nd item: Small stone trough with chiseled date 1876, likely from the Philadelphia Centennial Exposition. 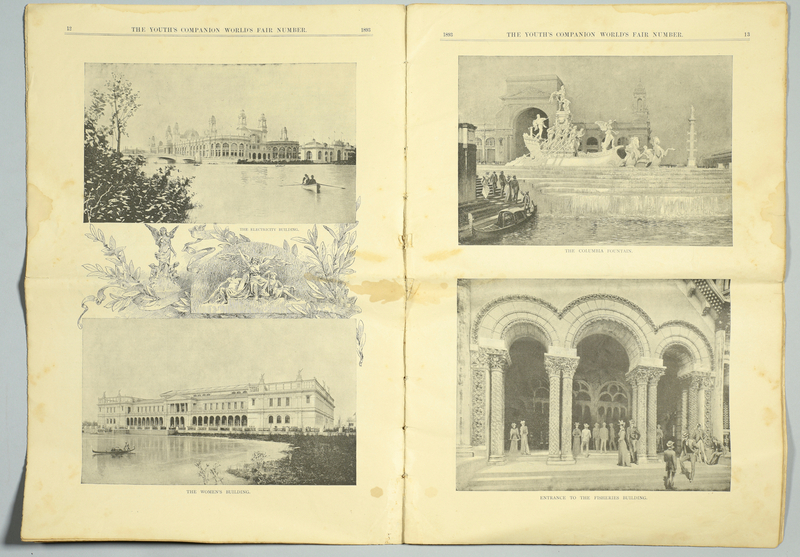 1 1/2" H x 4" W x 2" D. 3rd item: portion of a catalog of fine art in an exhibition (covers and half of the catalog are missing). 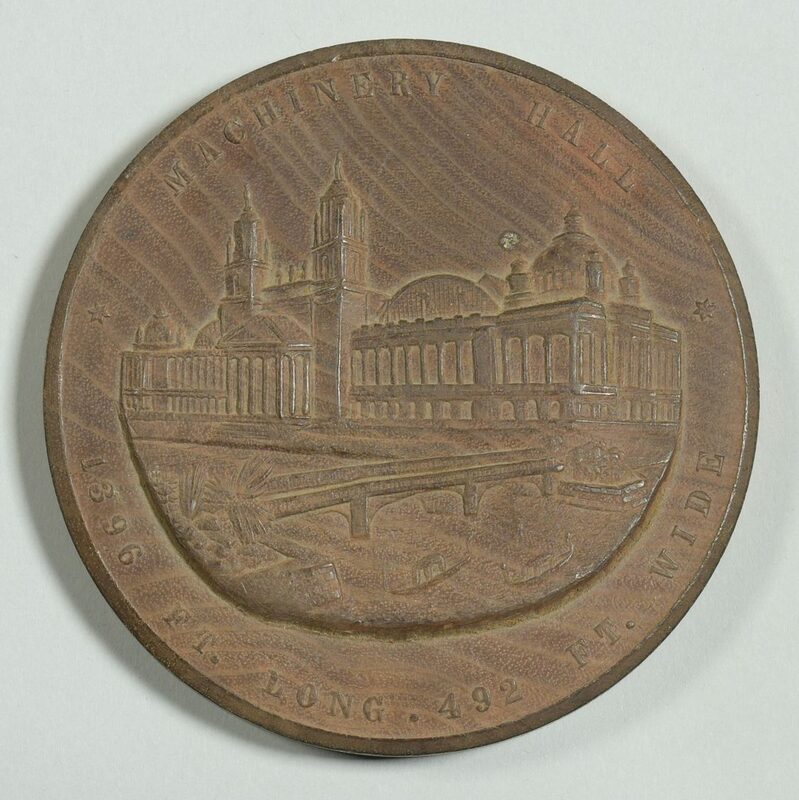 6 1/8" H x 9 1/4" W x 1/8" D. 4th item: Wood medallion with raised depiction of Machinery Hall, from the Columbian Exhibition. 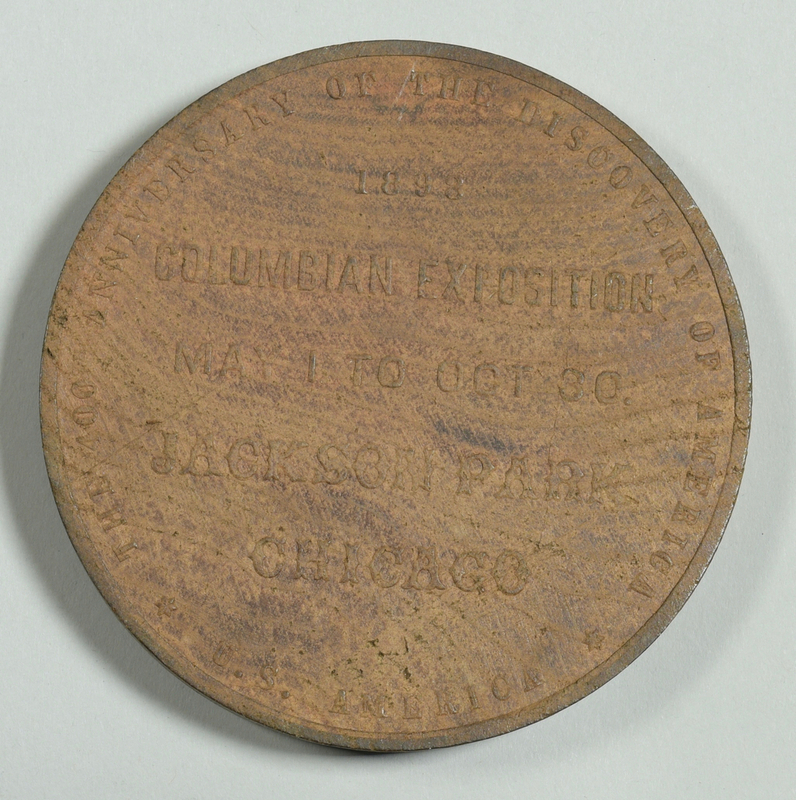 3 3/8" diameter. 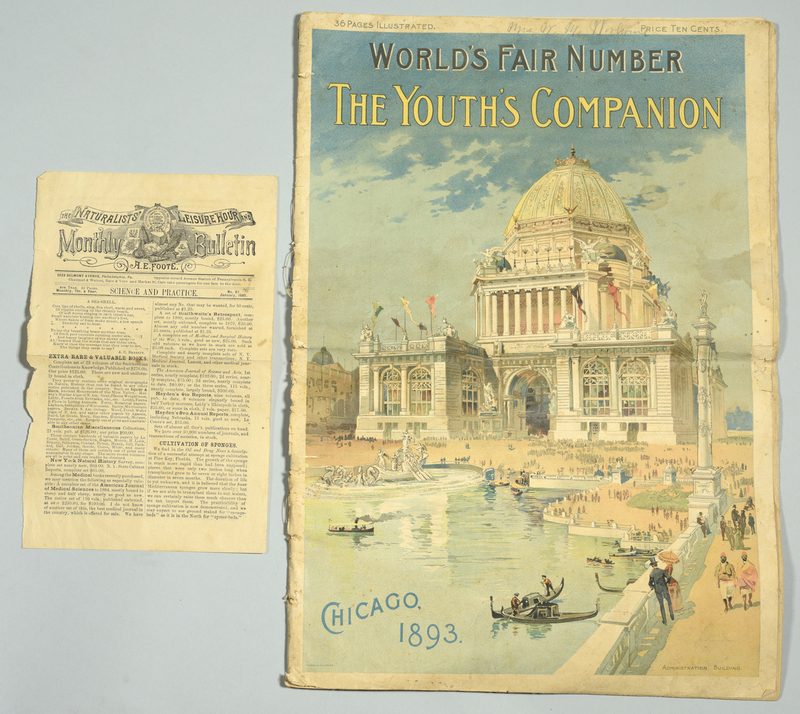 5th item: CHICAGO 1893: THE YOUTH'S COMPANION – softcover booklet illustrated guide with pictures (losses at corner and binding, most interior pages in relatively good condition with some staining and foxing). 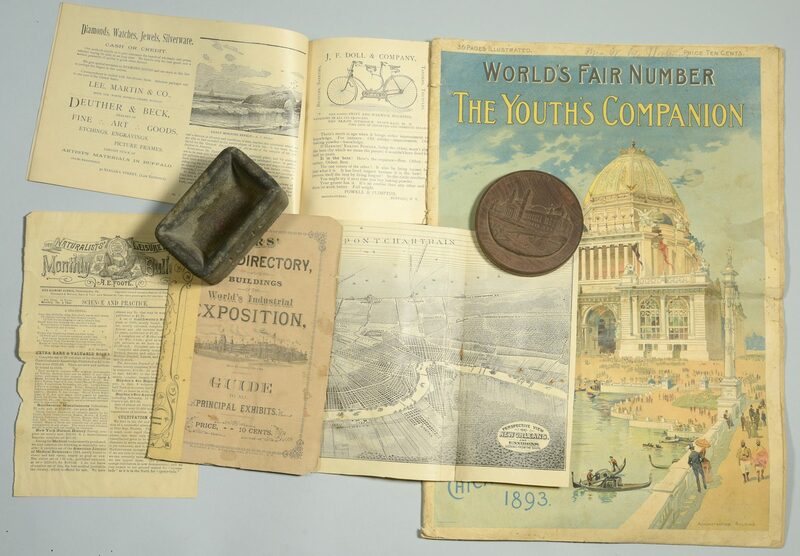 16" H x 11" W. Provenance: the estate of Sarah Hunter Hicks Green, formerly of Historic Devon Farm, Nashville, Tennessee. CONDITION: See item description.